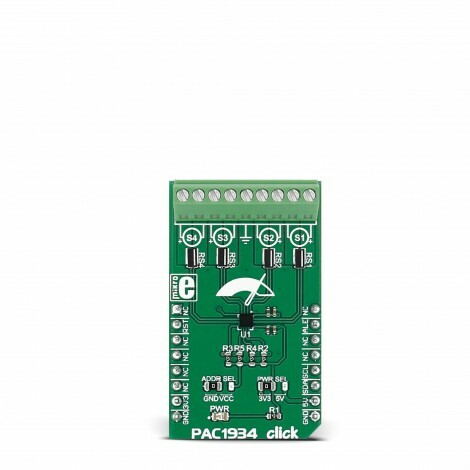 PAC1934 click carries the PAC1934 four channel DC power/energy monitor from Microchip. The click is designed to run on either 3.3V or 5V power supply. 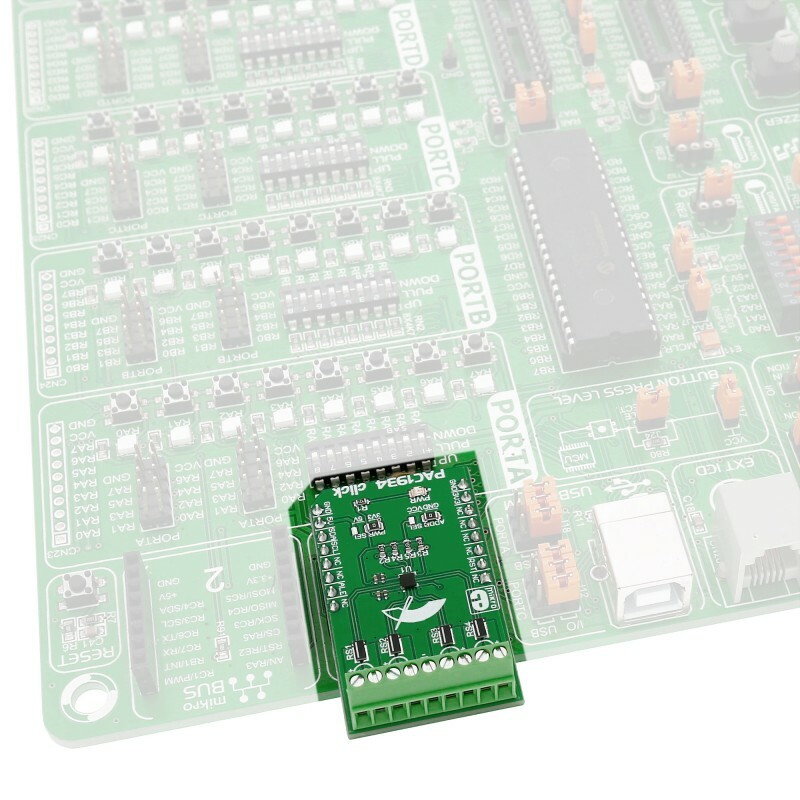 It communicates with the target microcontroller over an I2C interface. There are four 4-Terminal current sense shunt resistors connected to the current sense amplifier (in the chip). Electricity is brought to shunts via screw terminals. Middle screw connector is GND which can be used for bus voltage monitoring. This click enables energy monitoring with integration periods from 1 mS up to 36 hours or longer. 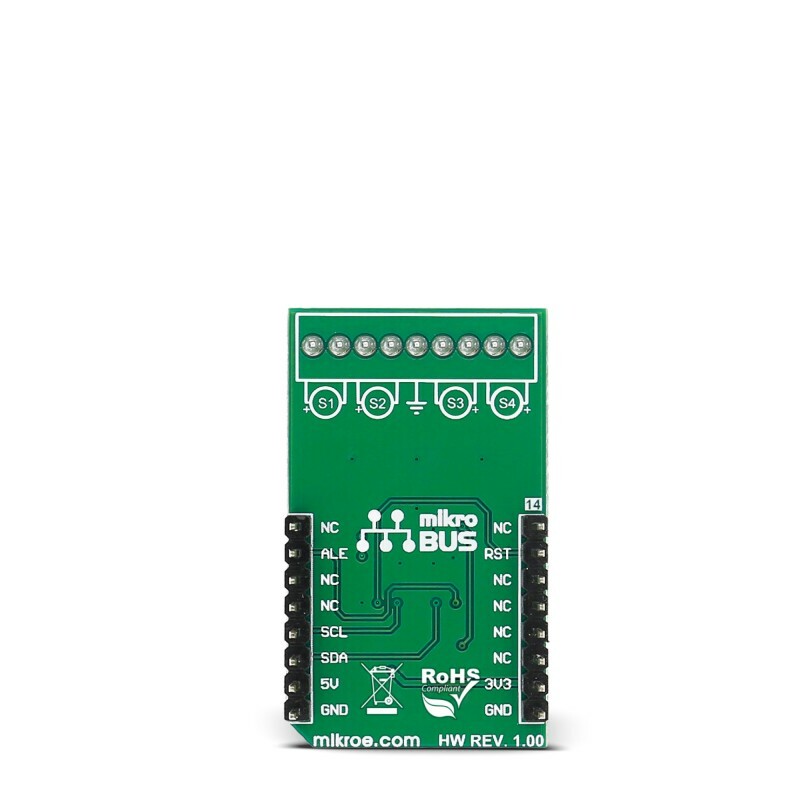 Bus voltage, sense resistor voltage, and accumulated proportional power are stored in registers for retrieval by the system master or Embedded Controller. 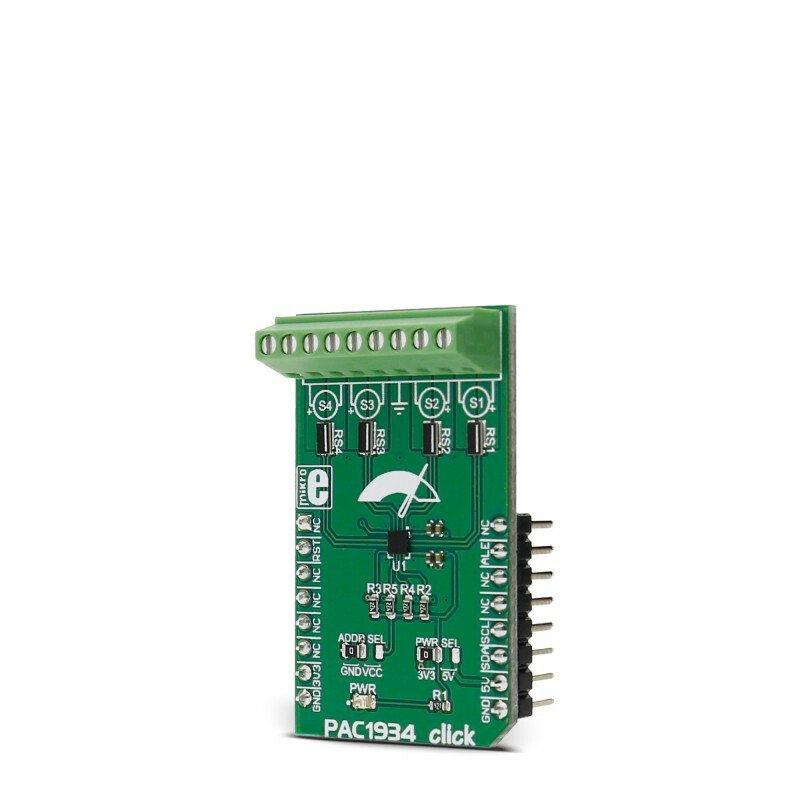 The PAC1934 is a four channel bi-directional high-side current-sensing device with precision voltage measurement capabilities, DSP for power calculation, and a power accumulator. It measures the voltage developed across an external sense resistor (VSENSE) to represent the high-side current of a battery or voltage regulator. 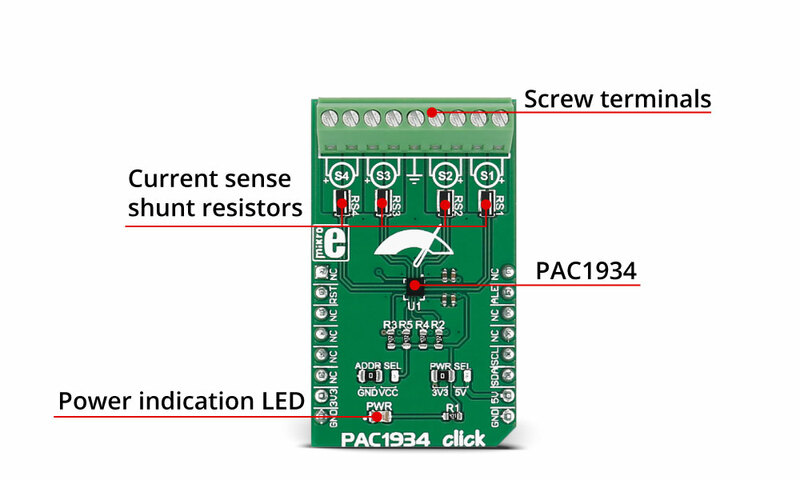 The PAC1932/3/4 also measures the SENSE1+ pin voltages (VBUS). Applications Power management systems, embedded applications, servers, personal computers, etc. This table shows how the pinout on PAC1934 click corresponds to the pinout on the mikroBUS™ socket (the latter shown in the two middle columns). LEDs, Buttons, Switches, Connectors, etc. Code examples for PAC1934 click, written for MikroElektronika hardware and compilers are available on Libstock. The following code snippet shows how to measure Current, Voltage, Power and Energy using the PAC1934 library.